Here are the four HEAVY racks in use. My finger is still broken from where I dropped one on it! The split logs are beech. They are outside The Lodge at Sandholme quite a charming building – even if the number of downspouts looks a little overdone. 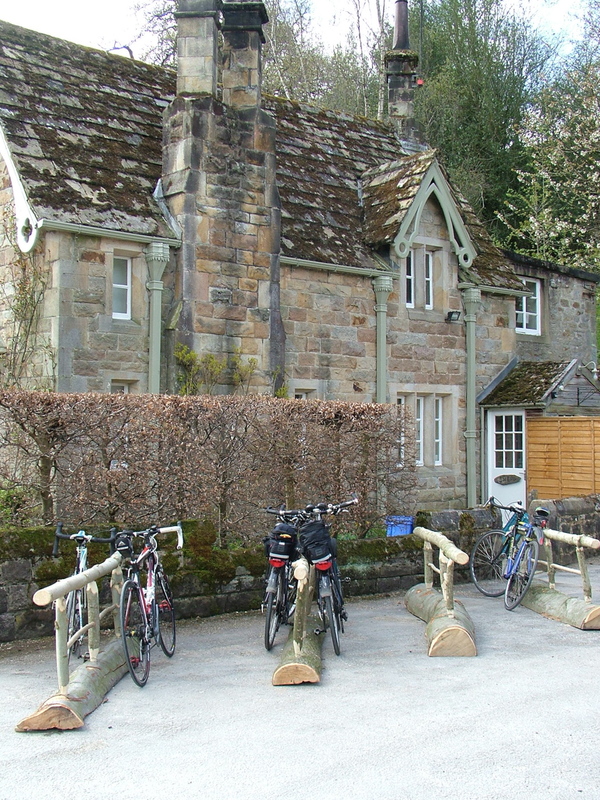 This entry was posted in Green woodwork, hand made, log and tagged beech, bike rack by Flying Shavings. Bookmark the permalink.